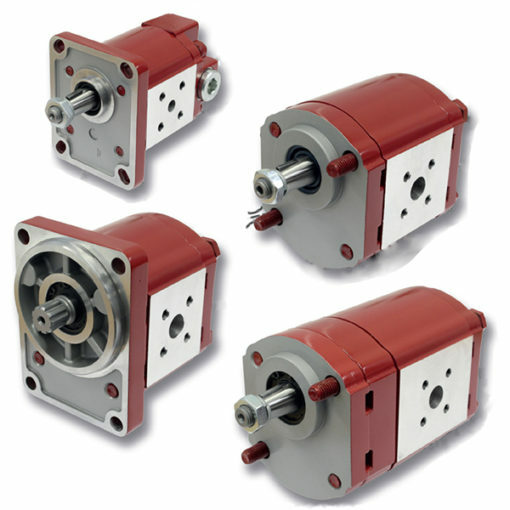 HYDAC Drive Centre supplies hydraulic motors available in two different sizes, offering a wide program of gears. These hydraulic gear motors possess a very narrow-stage specific displacement flow, a large speed range. Also, they have a maximum pressure up to 300 bar. The first of our two hydraulic motor sizes, the MGE 101 runs to a maximum speed of 4000rpm. In addition, the range of displacement can vary between 1.07cm3/rotation to 8.51cm3/rotation, while standard operating viscosity will typically be between 12 – 110 cSt (mm2/s). The HYDAC MGE 102 hydraulic motor is the second of the two sizes available for a wide range of industrial and agricultural applications. Indeed, the key difference is that it offers a far greater range of displacement than the size 1 option, varying between 4.95 cm3/rotation and 28.21cm3 /rotation. However, other notable properties such as the maximum speed and normal operating viscosities largely remain the same. So, if you’d like to discuss your hydraulic motor needs with an experienced professional, please, get in touch with HYDAC today.